A healthy, protein-packed breakfast with a twist! 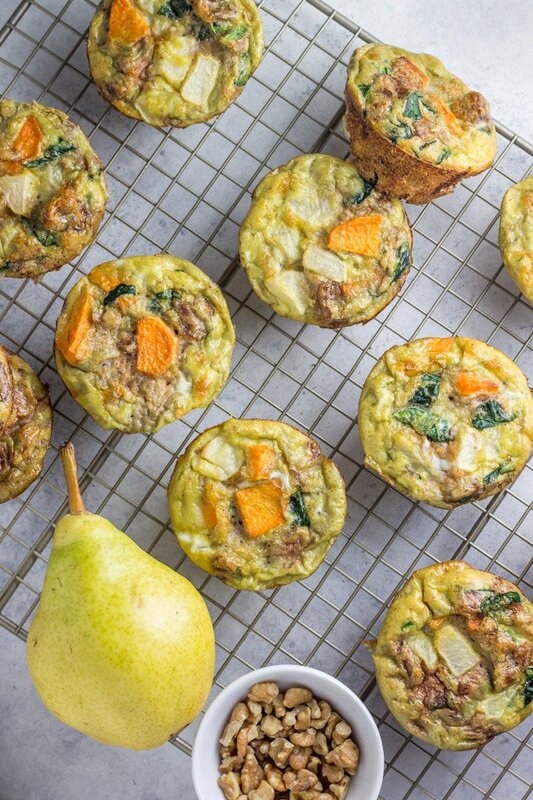 Dare you not to be obsessed with these pear walnut sweet potato egg cups. 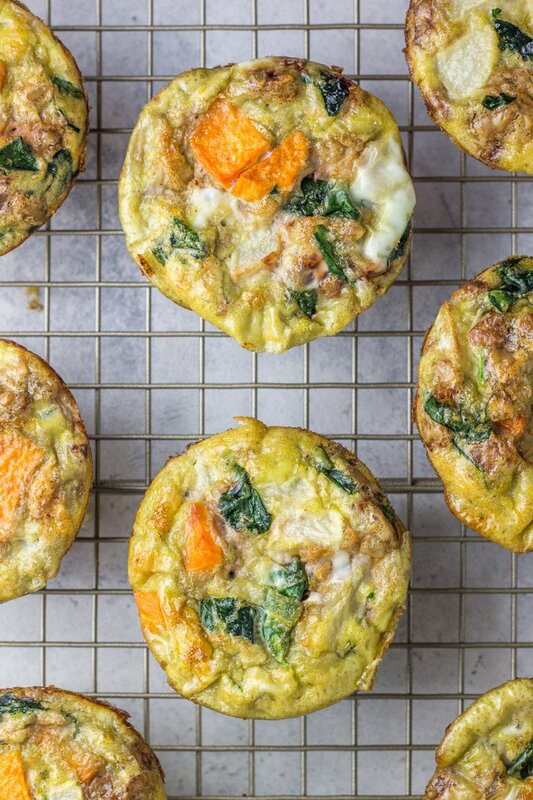 A meatless, portable breakfast option that combines some of the best ingredients around into one beautiful egg treat. Oooooh MAN I love these egg cups. It’s one of those random recipe creations I’ll be making for years to come. Who-da-thunk you could combine pears, sweet potatoes, and walnuts with whipped eggs and it just works for the most healthy yet ‘treat-worthy’ breakfast on planet earth?! 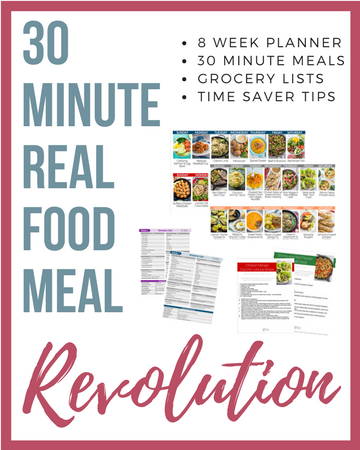 Speaking of kids – if you’re struggle to get the little ones to eat something with a little protein in the morning to keep them full and happy (hangry little people is not a joking matter), this is definitely a recipe you must try in your home. Not only are we talking protein, but complex carbs, healthy fat, vitamins galore, and fiber. AAAAAAND hello(!) – let’s jus talk about making these on the weekend and throwing them in the microwave all week long for breakfast in seconds. EASY. Now we’re speaking my language. It’s been a looooong time since I posted an egg cup recipe, but these pear walnut sweet potato egg cups were well worth the wait. 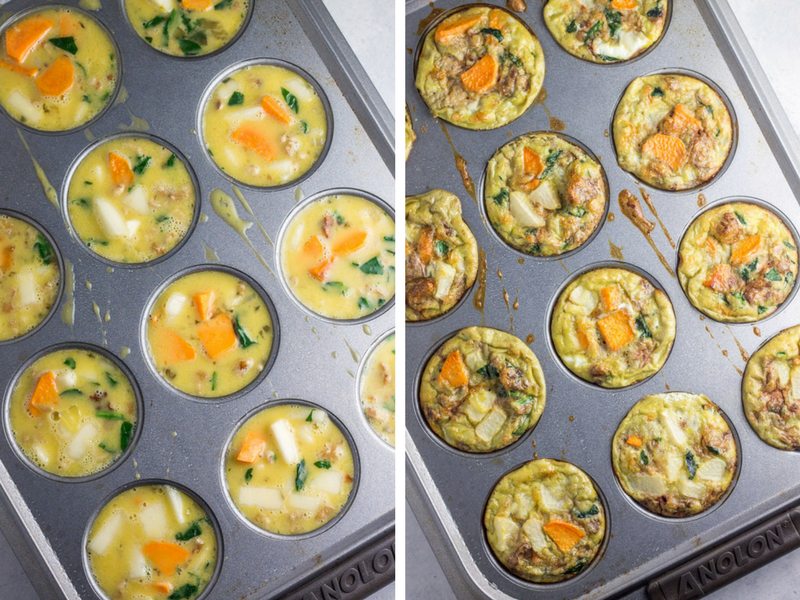 Back when I first started Physical Kitchness, I posted these paleo pizza egg cups, and while I still love them something fierce, the newest egg cup creation delights my sweet tooth and texture cravings. Yes, pears and walnuts with eggs. It’s life changing. Every little bite has a hint of sweetness that’s absolutely perfect (promise not overbearing), and when you get a few walnuts in there – WOAH, it’s just magic. And a much-needed texture surprise you won’t expect but guaranteed love. In a nutshell, egg cups get me really fired up. And if I haven’t reiterated a million times on this blog how uncool I am, this 500+ word essay professing my love for these pear walnut sweet potato egg cups proves my point. FOODIE 4 LIFE. 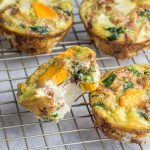 Be sure to try these paleo pizza egg cups and these mason jar sweet potato ground turkey scrambles too! 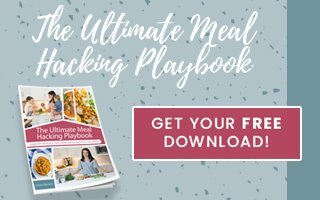 A few other great (and portable) breakfast options you can make beforehand and reheat for later! 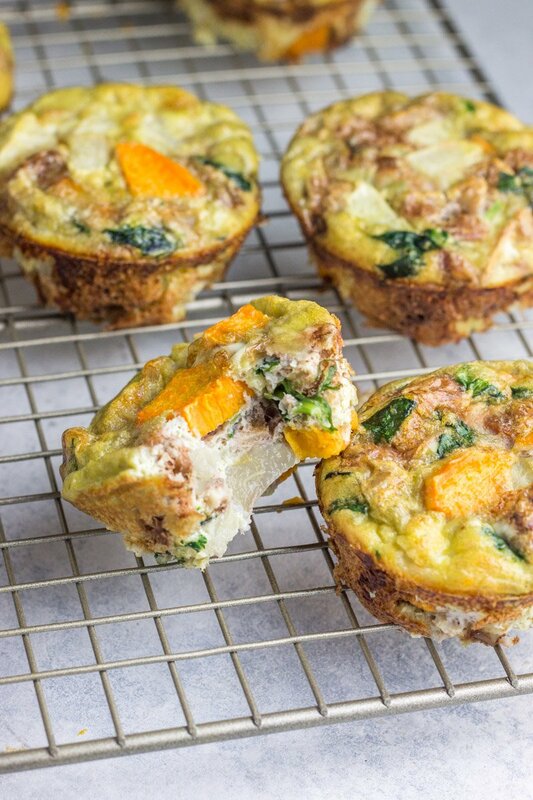 These paleo and Whole30 Pear Walnut Sweet Potato Egg Cups are the perfect healthy breakfast with loads of flavor and a flavor combination that you’ll love. A fantastic meatless and portable breakfast option. Hi Chrissa! These look fantastic. I love the addition of pears and walnuts. I’ll have to give them a try as an easy snack to bring to work. I’m not sure if my son will eat them but you never know. Thanks for the recipe!